Heikki Viika joins Powernet as the new CEO, as Berndt Schalin reaches retirement age. Mr Viika brings vast experience from an international career at Bombardier, as well as from the power supply industry. 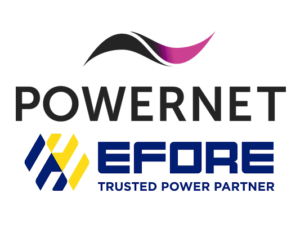 Powernet’s development and focus the few last years has centred significantly around the rail industry and working in partnership with major customers to solve their power supply needs. Heikki holds M.Sc. in Electrical Engineering from Helsinki University of Technology and has done business studies in Helsinki School of Business Economics and IMD/Lausanne. He is experienced in international senior management, having held positions at Bombardier heading global Engineering, Marketing, Strategy, Sales, and Quality&Safety, as well as general management roles as Regional GM for Asia Pacific, and Head of BU London Underground. Subsequently he held the position of President and CEO in another power supply company. Heikki’s background supports Powernet in developing competencies in system integration and the rail industry, thus helping to solve the customer’s needs. Powernet is a trusted supplier of demanding power conversion solutions for transportation and industrial applications. Since 1992 we have produced hundreds of different power supplies for harsh conditions. 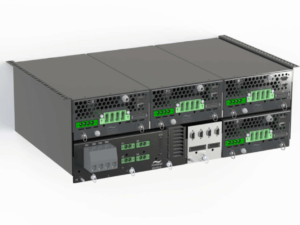 Powernet is experienced in engaging our customers in customer specific products based on proven platforms designs and in addition has an extensive portfolio of standard power supplies to offer. Powernet’s rail approved solutions are certified according to relevant rail norms EN50155, including safety and fire approvals. FOR ALL THE LATEST INFORMATION, NEWS, IMAGES, VIDEOS AND DOCUMENTS FROM POWERNET, PLEASE CLICK HERE.